I am really excited to share these with you in the near future, but unfortunately they're top secret at the minute. I got to meet my shiny new twin nieces in June and they are tiny. So tiny in fact that my sister requested smaller hats for them. I made this cute little pair, which might have gone to live on their teddies! The Marathon sock KAL is still going in my Ravelry group, and this is this month's contribution. I finished the first sock in four days, the second took three and a half weeks (at least in part because I managed to burn my finger, which took a few weeks to heal). 300g of sock yarn from Love Knitting, at least 200g of that is for pattern samples, the other one is one I could not resist! 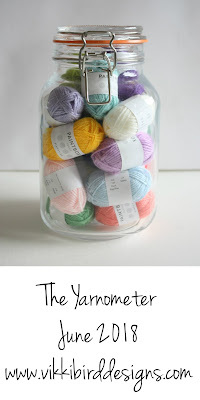 Assorted sock yarns. I couldn't say no to the stripey one! Total: –100g - yes, that's right, more yarn left the house than arrived! 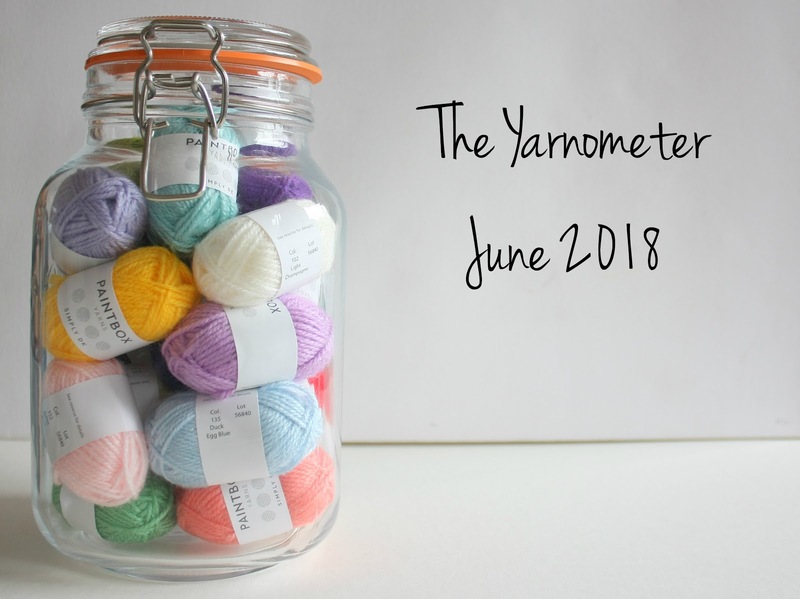 A much better month in terms of yarn leaving rather than entering the house. I'm hoping to have lots of FOs to show off in next month's Yarnometer, but they'll all be tiny as it's been way too hot so far in July and the concept of knitting anything heavier than socks is a bit alien... I have quite a lot of work to do if I want to get to zero by the end of the year (hint, it's not happening! ).